Marcy Chanteaux is the former Assistant Principal Cello of the Detroit Symphony Orchestra. Having grown up in a musical household in South Dakota, Chanteaux received her initial piano training from her parents and studied cello with a local violin teacher. At 16, she won a national competition sponsored by the Music Teachers National Association. After Chanteaux graduated from the Cleveland Institute of Music, she joined the National Symphony Orchestra in Washington, D.C. While there, she was invited to perform several concerts at the Smithsonian Institution. Chanteaux then moved to Detroit, where she joined the DSO as orchestra pianist. Several years later, she was appointed Assistant Principal Cello. Chanteaux performs regularly as a soloist with the DSO and with several orchestras in Michigan and Canada. She has given the DSO premiere of cello concertos by Lutoslawski, Victor Herbert and Erich Korngold. A successful chamber music collaborator, Chanteaux was invited to perform a Brahms sextet with Isaac Stern in 1995 in Ann Arbor. She regularly performs with the Lyric Chamber Ensemble, and plays internationally with the St. Clair Trio, which recently made its debut performances at the Phillip’s Gallery in Washington, D.C., and on the Dame Myra Hess Music Series at the Cultural Center of Chicago. The trio has been named the Motor City’s Best Small Ensemble in Detroit and can be heard on Koch International Records. Chanteaux has also recorded various standard concerti for the Music Minus One label. During recent summers, Chanteaux has performed as both member and soloist with Music In The Mountains in Purgatory, Colorado. 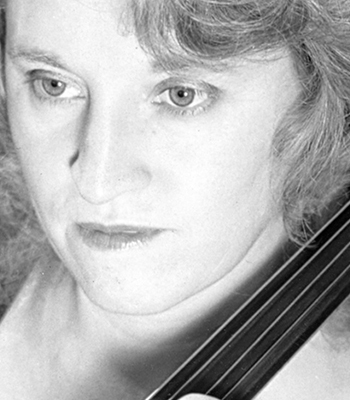 For the past few summers she has given master classes and teaching sessions to young professional cellists for the National Repertory Orchestra at Breckenridge, CO. In residence with the Detroit Symphony Orchestra, Chanteaux conducts master classes at the Interlochen National Music Camp, where she also regularly performs chamber music. She is an adjunct member of the Wayne State University Music Department, where she offers cello instruction. In addition, she teaches and coaches privately at home. Chanteaux’s hobbies include gardening and the arts. She and her husband enjoy traveling and visiting museums all around the world in pursuit of the appreciation for the history of art, specifically paintings.